Khushyaan main saari us par luta du..
Chahat me uski mai khud ko mita du..
Kab ayega vo jiska es dil ko intjaar hain. This is a great saari par shayari. True lovers of ek din ayega shayari will love this. 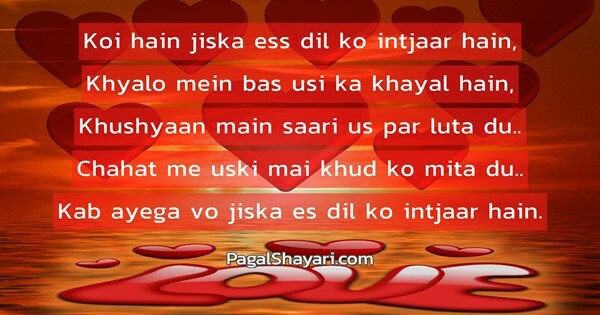 For some people shayari is the most enjoyable thing in life and they absolutely adore uski yaadein shayari. Please share if you liked this!! !